Mechanical engineering is the discipline that applies engineering, physics, engineering mathematics, and materials science principles to design, analyse, manufacture and maintain mechanical systems. Our Mechanical Engineers apply these principles to our existing range of targetry products whilst innovating new products for our customers. 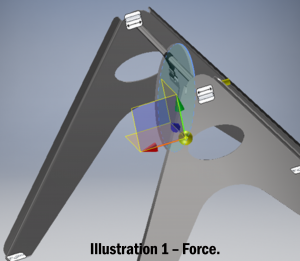 Mechanical engineering tools such as Computer-Aided Design (CAD), Computer-Aided Manufacturing (CAM), product life cycle management and Finite Element Analysis (FEA) support ATS in the design and analysis of new concepts. FEA is a numerical method for solving problems of engineering and mathematical physics. Useful for problems with complicated geometries, loadings, and material properties where analytical solutions cannot be obtained or easily communicated. 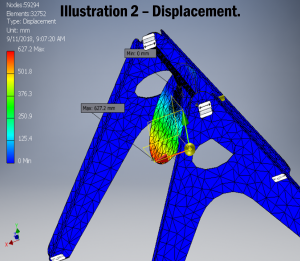 FEA is particularly useful when developing new targetry concepts, the analysis can be used to quantify concepts will function as intended. 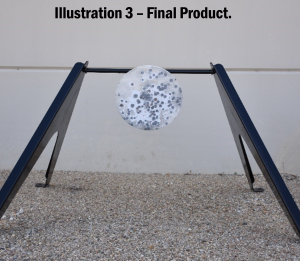 FEA was used to illustrate how a force of 14N will impact our Steel Gong strike plate when fired from 600m using a .338 Lapua.